While there’s certainly advantages to living in a gaming era that emphasizes online co-op, couch co-op games will always hold a special place in many of our hearts. 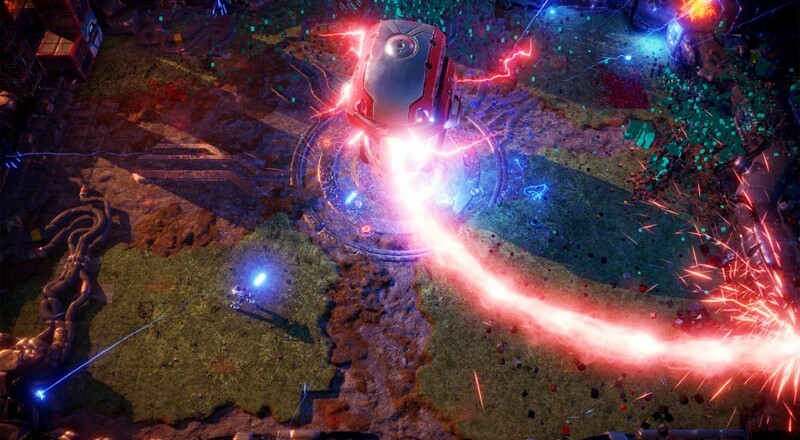 Therefore, we (the folks at Co-Optimus) were extremely pleased when the recently released Nex Machina brought back this nostalgic experience in fine form. 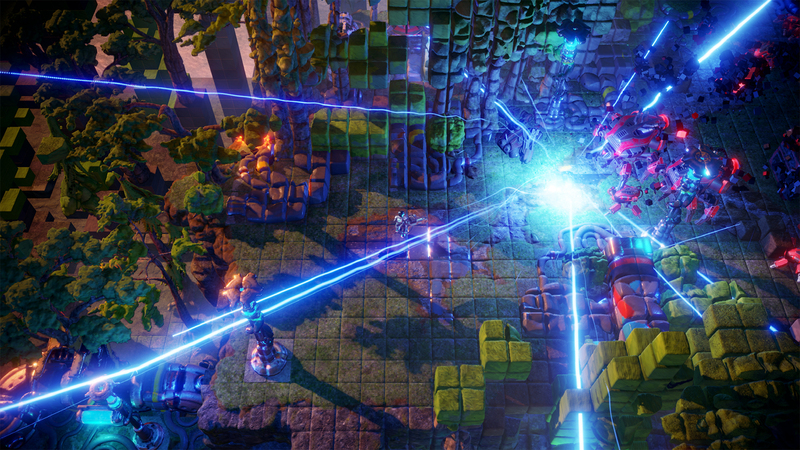 As a game developed with local co-op as a core focus, Nex Machina absolutely thrives. That got us thinking about how PC games with strong couch co-op experiences can sometimes be difficult to find, so we compiled a list of our absolute top picks of couch co-op games on GOG (Good Old Games), presented in no particular order. Nex Machina is a twin-stick shooter with simple goals, but tough-to-master levels. The story basically boils down to “kill enemies, rescue humans,” but the layers of strategy more than make up for the lack of narrative depth as they make the game highly addictive and replayable. While the game is satisfying in solo play, Nex Machina truly shines in its two-player local co-op mode. Players can take full advantage of tactics that need two characters (e.g. using one player to bait enemies while the other focuses on saving humans), not to mention the quick and rapid gameplay lends itself perfectly for couch co-op as players chase the leaderboards together. 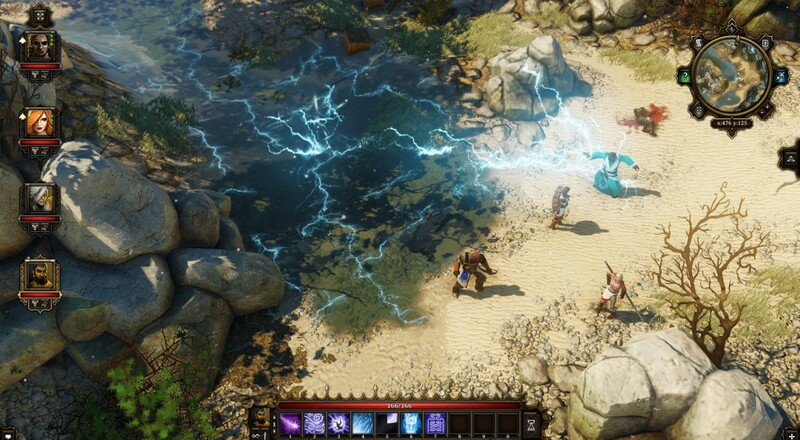 Divinity: Original Sin (D:OS) is a modern take on the isometric, turn-based tactical RPGs of old that are fondly remembered by many PC gamers. It successfully captures the essence of what made these games so memorable (e.g. extensive stories, impactful choices, unforgiving combat), but at the same time it isn’t afraid to incorporate some modern conveniences to make the experience that much better. One such addition was introduced with the release of the Enhanced Edition: couch co-op. While the vast majority of the old PC tactical RPGs were either single-player, LAN, or TCP/IP, the Enhanced Edition of D:OS gives players the opportunity to play this classic style of game in two-player couch co-op. The ability to sit side-by-side with your gaming partner, discussing the important decisions the rich story has the offer while looking at the same screen (rather than hollering across the room) is a beautiful thing. This lovingly crafted, modern take on a classic genre also supports online co-op. Never in want of flattering adjectives to describe it, Trine 2 is challenging, cerebral, gorgeous, innovative, and (most importantly) collaborative. Up to three players take on the roles of the game’s three characters: a thief, a wizard, and a knight. Each character has their own special abilities, which can be upgraded over time, and all of them are required in order to traverse the game’s levels that are fraught with enemies, challenges, and traps. 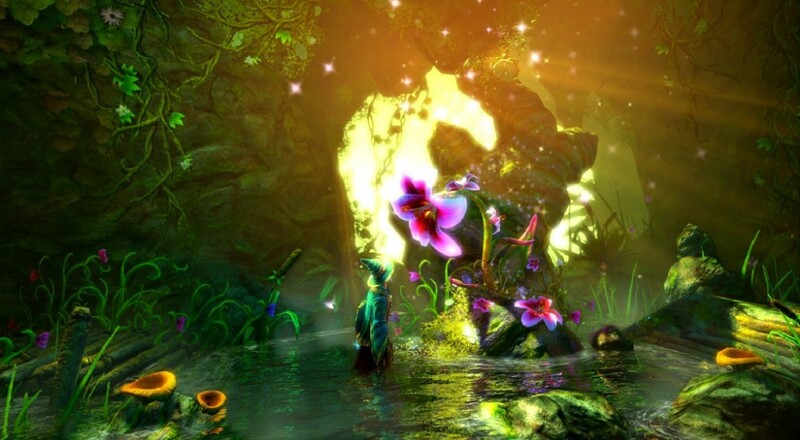 Trine 2 is at its absolute best when players are working together to puzzle their way through a level by coordinating these special abilities, and we’ve found that it’s particularly convenient to share the same screen during this process. You can easily get up off the couch to point to a particular spot on the screen or smack your partner on the shoulder when he accidentally drops you to your death. If your gaming buddy is too much of a coward to face your justified wrath, online co-op is also supported. Page created in 0.6905 seconds.